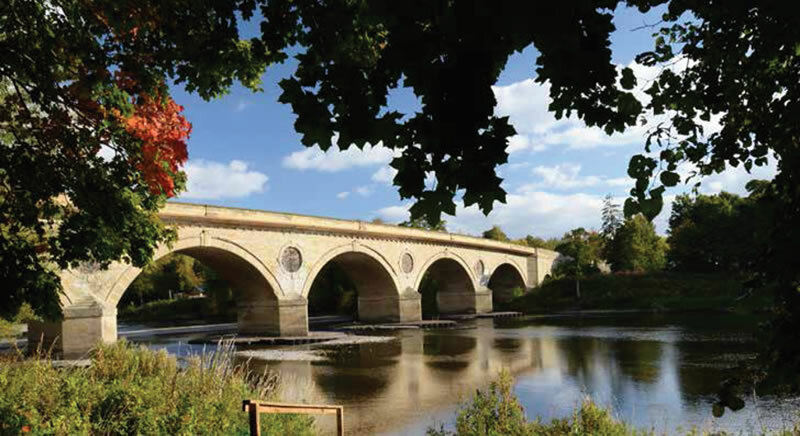 Welcome to Coldstream, the only Scottish Borders’ town situated exactly on the English-Scottish border, overlooking the famous salmon fishing River Tweed. We are a gateway to the Scottish Borders, 12 miles from historic Berwick-upon-Tweed and the railway, 15 miles to the beautiful Northumberland coastline and 5 miles to the Cheviot Hills, and only 50 miles from Edinburgh. A friendly small town, we welcome visitors and on our High Street, in our restaurants, pubs and shops, locals will speak to you and make you feel at home. The town is a Borders hub, making access to the coastline, north Northumberland and the Cheviots easy, as well as the rest of the Borders. For visitors there are several interesting attractions. 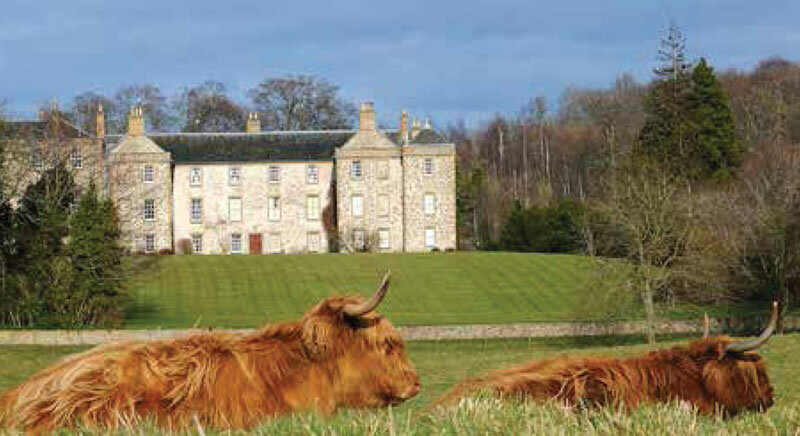 Coldstream and the Hirsel Estate is the ancestral home of the Douglas-Home family. After his spell as the UK Prime Minister, Sir Alec Douglas-Home became Lord Home of the Hirsel. The Hirsel Estate is a beautiful and welcoming area of craft shops, woodland pathways, wildlife, a cafe and views of Highland cattle. There is also the attractive and popular parkland Hirsel Golf Club, for those that may want a round of golf, lunch or a relaxing coffee and scone. Coldstream is the founding town of the Coldstream Guards, the only town in the UK to be included in the name of a regiment, and we receive lots of visitors each year to visit the wonderful museum dedicated to the regiment and local history. This can be found in the Market Square. Irregular, runaway marriages took place during the 1800s in the Marriage House near the Coldstream bridge and the local museum and a history book – ‘Second to None – A History of Coldstream’ – tells the full story of a shooting, marriages of Lords and ‘priests’. Extends a warm welcome to all those interested in discussing and researching the history of the south Berwickshire and north Northumberland areas. Scotland’s national bard, visited Coldstream in 1787 and there is a metal plaque on Coldstream Bridge, as well as interpretation board beside the Marjoribanks monument, depicting this visit. Beside the bridge is the Jacob’s Well woodland. Please give it a visit and learn about the well and sit on a seat beside the river Tweed, watching the swans and ducks. Be very careful when you walk along the Nuns’ Walk beside the river Tweed and view the river, the Cheviot Hills and nearby woodland. It’s a public walkway but with a 30 feet drop into the river. The battle of Flodden in 1513 changed the political landscape in the UK. Visit the battlefield site at Branxton – 3 miles away – and view the Flodden monument at Coldstream’s Tweed Green. We also have a quality Art Gallery with regular exhibitions. Our Parish Church is open to visitors to view the beautiful stained-glass windows, including the battle of Flodden window. On the High Street we have a unusual military history shop where you can buy outdoor equipment and military clothing, as well as visit the downstairs bunker and exhibition. Coldstream is inextricably linked with St.Cuthbert, An influential churchman who was Prior of Melrose and then of Lindisfarne. He was a venerated religious figure, and a successful preacher who was responsible for the spread of Christianity in the North of England. Our community centre used to be called St.Cuthbert’s Church and St.Cuthbert’s ruined chapel is about 3 miles from Coldstream. Thinking of moving to Coldstream? Locals that make you welcome.